The best time to view black-tailed godwits is from late-summer through to early spring when large numbers of birds can be found at coastal and inland wetland sites throughout the UK. In the breeding season from April to June black-tailed godwits can be vulnerable to disturbance – we therefore don’t encourage visitors to get too close to the birds during this critical time. 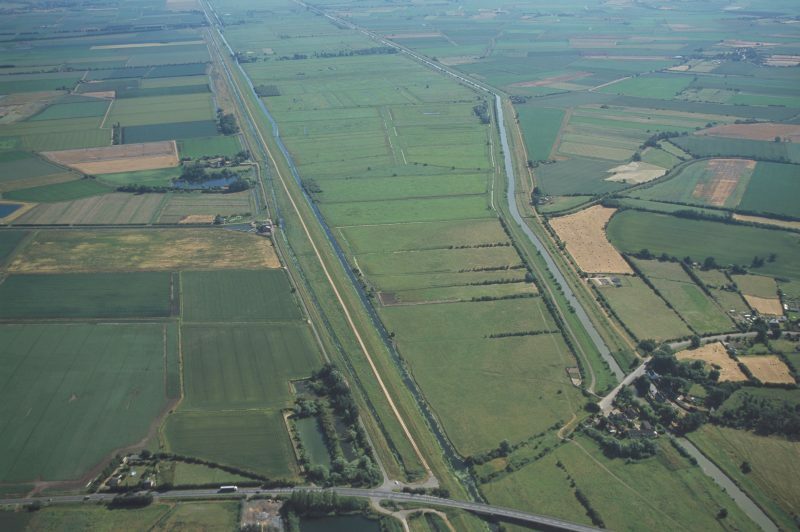 The Nene Washes were created in the 17th century as a flood storage area for the River Nene, and are one of the few remaining functioning washlands in the UK. Seasonal flooding combined with traditional management by grazing cattle and haymaking has provided a mosaic of rough grassland and wet pasture. The Nene Washes support internationally important numbers of waders, ducks and swans – large numbers of which can be found using the site throughout the year. The Nene Washes is the most important site for breeding black-tailed godwits in the UK, supporting 40-50 pairs. The Ouse Washes form the largest area of wet grassland habitat remaining in the fens. Teeming with wildlife, they are located between the Old and New Bedford rivers, and act as a floodwater storage area in winter months. The site is of international importance for breeding and wintering birds – and is designated as a Special Protection Area (SPA) for this reason. Black-tailed godwits returned to breed at the Ouse Washes in 1952 after an absence of more than 200 years. Until the 1970s, it was the most important site in the UK. However, increases spring and summer flooding has driven habitat change to the extent that some former godwit breeding areas are no longer suitable. A government funded programme has been underway to provide alternative habitat for godwits in areas safe from flooding, adjacent to the boundaries of the washes. The Nene Washes and Ouse Washes have both been designated as SPAs by the UK Government – reflecting the international importance of these sites for rare and migratory birds. They are the only SPAs in the UK which have been designated for breeding black-tailed godwits. In 1979, the European Community created a Directive on the Conservation of Wild Birds. The Birds Directive contains duties on Member States in relation to all species of wild birds which are to be undertaken via domestic legislation. In particular, member states are required to preserve enough wild places to safeguard migratory and vulnerable bird species. These form a network of protected areas called Special Protection Areas (SPAs). Alongside Special Areas for Conservation (SACs), these protected areas make up the Natura 2000 network, the largest coordinated network of protected areas in the world. Stretching over 18 % of the EU’s land area and almost 6 % of its marine territory, the Natura 2000 network offers a haven to Europe's most valuable and threatened species and habitats. Member States must take appropriate steps to avoid pollution or deterioration of SPAs, or any significant disturbances affecting the birds. The directive also requires that Member States shall pay particular attention to the protection of wetlands, especially those of international importance.